This story is getting more and more bizarre!! There’s got to be a coverup going on. We surely hope the authorities do their due diligence and get to the bottom of this child’s death and put everybody who was involved in jail!!! The home where 16-month-old Semaj Crosby was found dead last week burned to the ground Saturday morning, the East Joliet Fire Department said. Fire officials said they responded to the call of a fire at the home in the 300-block of Louis Road at 6 a.m. and when crews arrived, they saw flames and smoke in the back bedroom. When the chief arrived, he gave the order to let the home burn because it had become a public nuisance. There had been another fire call earlier this week at the home. The child’s body was found inside the house after she had been reported missing. 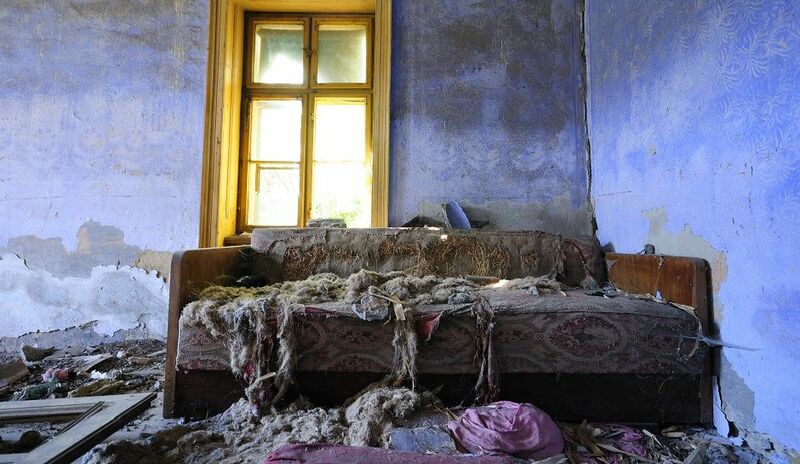 The county then condemned the property, calling it uninhabitable and photos showed the home’s disheveled interior. It’s unclear if this fire will hinder the ongoing criminal investigation into Crosby’s death. No one has been charged. Investigators are waiting on toxicology reports to determine how the toddler died. On Friday, a funeral was held for Crosby.